Life is but a brief moment. The years go by quickly and old age arrives suddenly before we have an inkling. People desire so many things and waste their days in vain. Some yearn for gold, others for power, yet others for glory and a higher station. 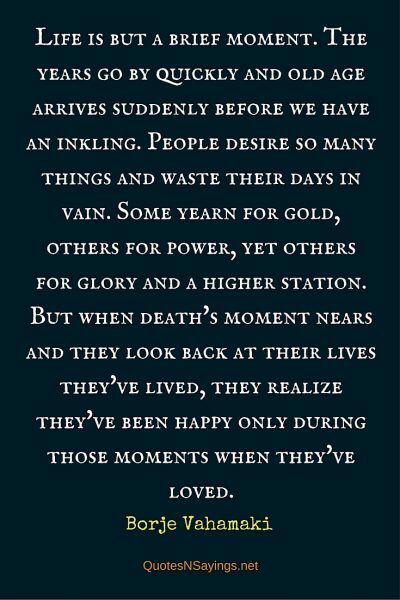 But when death’s moment nears and they look back at their lives they’ve lived, they realize they’ve been happy only during those moments when they’ve loved.